Are your tired of dealing with goose poop around your lake or yard and docks? Eco Wildlife Solutions is experienced in all the US Fish and Wildlife paperwork and permitting needed to remove and relocate these messy birds. We will assist you in acquiring the proper paperwork needed and will act as your assigned agent to Trap and Relocate these pest. We offer hazing, and harassment techniques to convince them that your lake is not the best choice to live at and raise a family in. If your at your wits end with washing your docks and clearing the mess they leave behind we have solutions to solve your problem. We can remove your Goose problems. Serving Metro Atlanta, Bremen, Carrollton, College Park, Columbus, Fayetteville, Franklin, Grantville, Greenville, Griffin, Hogansville, Jonesboro, La Grange, Lovejoy, McDonough, Newnan, Peachtree City, Riverdale, Union City, West Point, and surrounding cities. Call (678)340-3269 to schedule an appointment. This is the Canadian Goose. With the proper permits from US Fish and Wildlife we ca assist you with this messy animal. 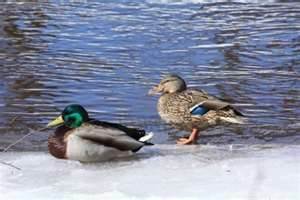 This is the common Mallard Duck. This shows this shows the male and female. Are your tired of dealing with goose poop around your lake or yard and docks? Eco Wildlife Solutions is experienced in all the US Fish and Wildlife paperwork and permitting needed to remove and relocate these messy birds. 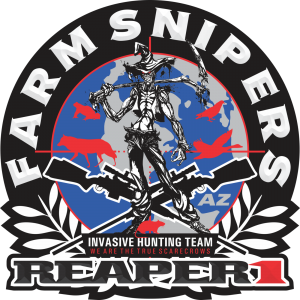 We will assist you in acquiring the proper paperwork needed and will act as your assigned agent to Trap and Relocate these pest. We offer hazing, and harassment techniques to convince them that your lake is not the best choice to live at and raise a family in. If your at your wits end with washing your docks and clearing the mess they leave behind we have solutions to solve your problem. We cover Newnan, Fayetteville, Peachtree City, Sharpsburg, Senoia and the surrounding cities. 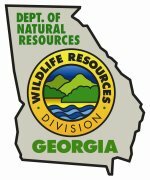 We also respond to Coweta, Fayette, Fulton, Heard, Carrol, Troup, Meriwether and surround counties. The term waterfowl is properly applied only to ducks, geese, and swans. Space does not permit full species descriptions here. A bird identification guide should be consulted for exact species descriptions. Many of the control techniques are equally applicable to damage situations involving coots, rails, and cranes, which are not discussed in this publication. In North America, most waterfowl are migratory, flying long distances in the spring and fall between the summer breeding grounds and wintering areas. Some species or geographic populations of some species, however, never leave the breeding areas. The Florida and mottled ducks, southern populations of wood ducks and hooded mergansers, and some populations of Canada geese are non-migratory. Ducks and geese breed throughout North America. The primary goose production areas for Central, Mississippi, and Atlantic Flyway geese are Banks Island, Baffin Island, and the greater Hudson Bay area. Most of these birds winter in the southern Great Plains, Texas, Louisiana, and Mississippi coastal marshes, or the Chesapeake Bay and Mid-Atlantic States’ coastal marshes and barrier islands. The primary breeding grounds for geese using the Pacific Flyway are the Yukon, Kuskokwin, and Copper River deltas and the north and west coasts of Alaska. These birds typically winter in Washington, Oregon, and California (especially Baja California, the Baja California Sur coastal marshes, and the central valley of California). The primary North American breeding grounds for ducks are the prairie pothole region of Alberta, Saskatchewan, Manitoba, Montana, North and South Dakota, and Minnesota. Historically, this area probably produced more ducks than the rest of the continent combined. Other important breeding areas include coastal and interior Alaska, and the Mackenzie River Delta. Primary duck wintering grounds include the central valley of California, the southern Great Plains, Gulf Coast marshes, Caribbean Islands, and Central and South America. Many of the historical North American waterfowl breeding, migrating, and wintering areas are changing because of agricultural and land-clearing practices, northern prairie pothole drainage, and development of the US Fish and Wildlife Service’s National Wildlife Refuge system. Worldwide, waterfowl occur on every major land mass except Antarctica. Waterfowl, as their name implies, are most often found near water. They can, however, fly long distances to and from favorite feeding grounds, which may include agricultural or upland sites. Some species, such as the mallard and certain subspecies of Canada geese, are extremely adaptable. They are equally at home in rural and urban environments, on a pond in a city park, or on a marsh in Alaska. The food of individual waterfowl species ranges from fish to insects to plants in various combinations, depending on availability. Waterfowl bills have evolved to allow the exploitation of a wide variety of food sources and associated habitats. Even though many species are adapted to feeding in the water, most will readily come on land to take advantage of available food. Since space does not permit a species-by-species description of food habits, a few general comments will suffice. During the pre-fledging period, young waterfowl feed primarily on aquatic insects and other invertebrates. As adults, waterfowl have an omnivorous diet. Dabbling ducks, whistling ducks, and shovelers are primarily filter feeders and will consume almost anything edible. Torrent ducks, blue ducks, and scaups feed heavily on aquatic insect larvae, snails, and other invertebrates found on and under rocks in streams and ponds. Large eiders, scoters, and steamer ducks feed heavily on mollusks and shellfish. Steller’s eider feeds more on soft-shelled invertebrates. Fish are the main food of mergansers. Swans are aquatic grazers and geese are terrestrial grazers. Waterfowl are normally monogamous and solitary nesters. The size of the nesting territory is determined by the aggressiveness of the particular pair of birds. Pair formation in geese and swans tends to be permanent until one of the pair dies; the remaining bird will often remate. Ducks seek a new mate each year. Ducks and the Ross’s goose generally lay one egg each day until the clutch is complete. Most other geese and probably all swans lay an egg every other day until the clutch is complete. Incubation is not started until the last or next-to-the-last egg is laid, thus all the eggs hatch at about the same time. There is a slight correlation between the length of incubation and the size of the adult bird. Incubation periods range from about 23 days for cackling Canada geese, 28 days for giant Canada geese and mallards, to 38 days for trumpeter swans. Young waterfowl are precocial and begin foraging shortly after hatching. The nest site is abandoned 1 to 2 days after hatching. Studies indicate many species have a first-year mortality rate of 60% to 70% and a 35% to 40% mortality rate in subsequent years. Life spans of 10 to 20 years for captive ducks and 20 to 30 for captive geese and swans are not uncommon. Goose problems in urban and suburban areas are primarily caused by giant Canada geese, which are probably the most adaptable of all waterfowl. If left undisturbed, these geese will readily establish nesting territories on ponds in residential yards, golf courses, condominium complexes, city parks, or on farms. Most people will readily welcome a pair of geese on a pond. They can soon turn from pet to pest, however. A pair of geese can, in 5 to 7 years, easily become 50 to 100 birds that are fouling ponds and surrounding yards and damaging landscaping, gardens, and golf courses. Defense of nests or young by geese and swans can result in injuries to people who come too close. Migrant waterfowl damage agricultural crops in northern and central North American. In the spring, waterfowl graze and trample crops such as soybeans, sunflowers, and cereal grains. In autumn, swathed grains are vulnerable to damage by ducks, coots, geese, and cranes through feeding, trampling, and fouling. Young alfalfa is susceptible to damage by grazing waterfowl. Geese sometimes damage standing crops such as corn, soybeans, and wheat. 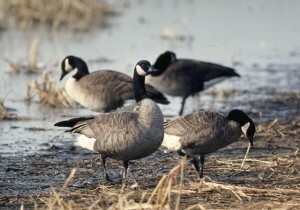 In southern agricultural areas, overwintering waterfowl can cause problems in rice, lettuce, and winter wheat. Mergansers, mallards, and black ducks cause problems at some aquaculture facilities by feeding on fish fry and fingerlings. Common eiders and black and surf scoters cause problems when they feed in commercial blue mussel and razor clam beds.